Ban Face Coverings in Public Places. - Rite-ON! Ban Face Coverings in Public Places. They Make Crimes Easier to Commit! 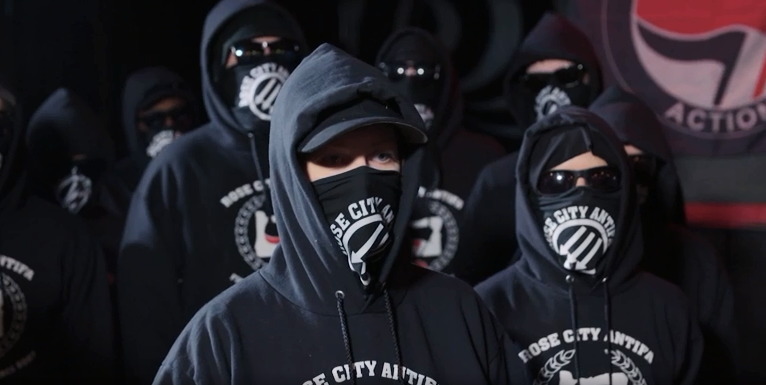 When Australian police openly state that groups, like Antifa, can cover their faces with full or part masks to perpetuate violence, while remaining anonymous, we have a serious problem. Throughout history, and around the world, criminals have covered their faces when committing crimes. Train robbers covered their faces with bandannas to hide their identity. 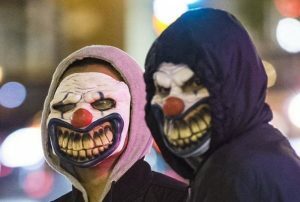 Later came the use of various types of masks such as ski masks, clown masks, and Halloween masks. 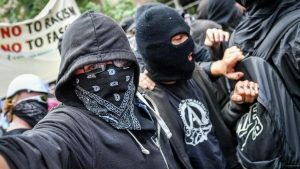 Masks have become the signature garment of cowardly left-wing protest groups. 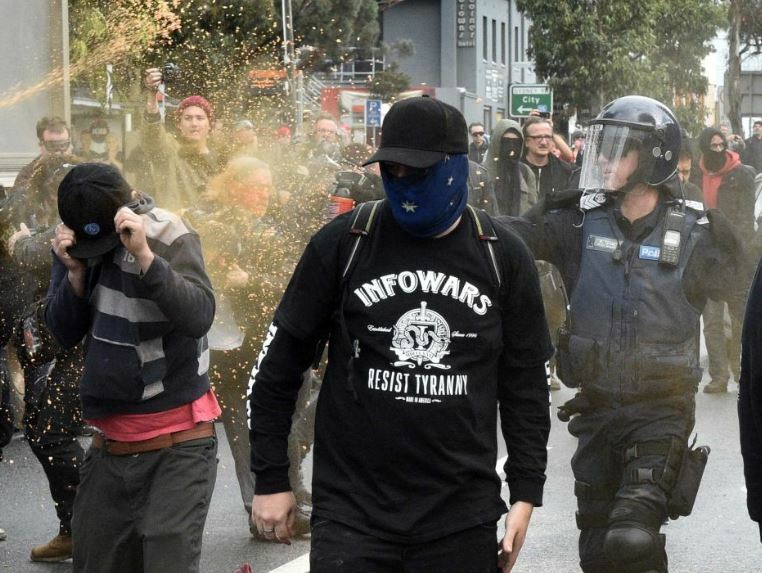 We see regular reports of attacks by left wing groups on almost every Conservative speaker who visits Australia with limited arrests or repercussions. People wearing masks, to avoid being identified, have attacked attendees at the Milo Yiannopolous, Lauren Southern, and Nigel Farage events. No arrests have been made. State and federal laws differ on the issue of national security and face coverings. Under Federal Law there are currently no provisions banning full face coverings, even though the Federal Parliament includes the departments of ASIO, AFP and Home Affairs! The current state laws differ from federal law and differ from each other. In New South Wales the laws were amended after the high-profile case of Muslim woman, Carnita Matthews, had successfully appealed against her conviction for falsely accusing a police officer of trying to remove her veil. The judge found there was not enough evidence to support her claims, even though Mrs Matthews had made the statutory declaration accusing the officer. “Prove it was me” (1) says the defendant, Carnita Matthews, which proves our point! People MUST be able to be identified. In November 2011 the NSW Law Enforcement (Powers and responsibilities) Act 2002 (2,3) and other laws, were amended to confer powers on police officers, juvenile officers, court security staff and authorised correctional officers to request the removal of face coverings in certain circumstances. The CRIMES AMENDMENT (PUBLIC ORDER) BILL 2017 was introduced into parliament by the Victorian Attorney General, Martin Pakula to allow new measures to prevent serious disturbances of public order, including outbreaks of violence at protests, demonstrations and other public events. What constitutes face coverings that mask a person’s identity? The issue of face coverings has a very broad definition and includes anything worn by a person that totally or partially covers the person’s face. Examples include hats, helmets, sunglasses or face masks. It could include a person who is wearing face paint or makeup that changes the appearance of the person or conceals an identifying feature of the person’s face. 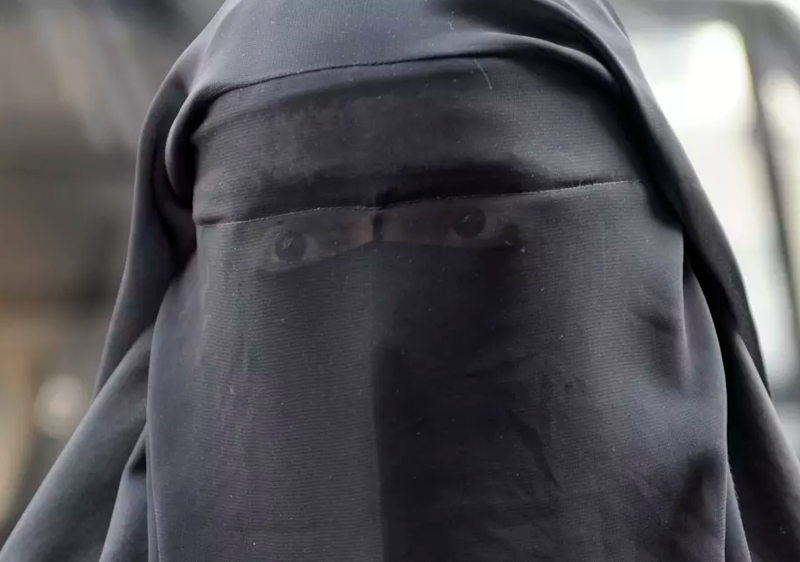 Many people would argue that Islamic Burqas are full face coverings, and indeed many nations have legislated to ban their wearing in public places. Nations include; Italy, France, Belgium, Netherlands, Germany, Bulgaria, Switzerland, Chad, United States, Canada, UK, China and Russia and several others (nations) have legislated that people must not wear Islamic face coverings in public. (10, 11). IN Australia we have no such specific legislation, and indeed there are people against passing laws that would make face coverings illegal, ‘citing division’. We propose it is the WEARING of face coverings that divides our society into us and others. It is however, a much bigger issue than burqas alone! ALL face coverings prevent proper identification and makes committing criminal acts without prosecution that much easier. Australia’s Security threat level is currently listed as PROBABLE – meaning “likely to happen”. It is time to address the issue of identification of ALL people, at both state and federal levels of governments. Currently state laws differ, and federal law does NOT legislate against face coverings. The Australian public believes everyone should be able to be identified to help keep communities and citizens safe from criminal acts, including acts of terrorism. How can law enforcement agencies apply the law to criminals they cannot identify? To sign petition please go to top RHS of this page: “Click here to redirected to the Federal Parliamentary website” and follow the prompts!